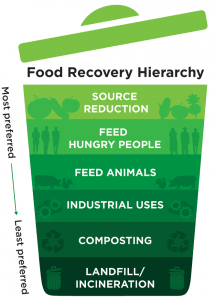 “The Food Recovery Hierarchy prioritizes actions organizations can take to prevent and divert wasted food. 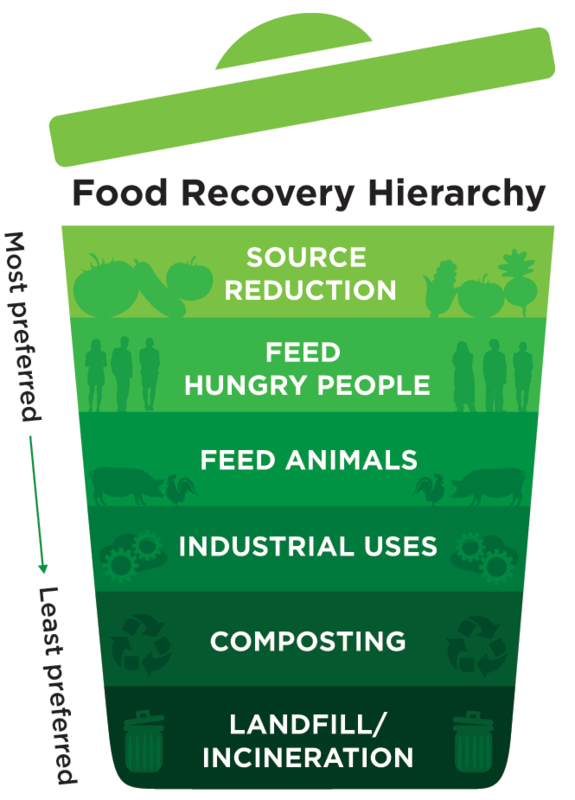 Each tier of the Food Recovery Hierarchy focuses on different management strategies for your wasted food. By conducting a waste audit either at your home or business will allow you to get a better picture of how much food is generated, which can lead to effective wasted food prevention strategies. Preventing wasted food is a matter of implementing better habits like reducing serving sizes as appropriate for your community. In 2014, over 38 million tons of wasted food were thrown away in the United States. At the same time, according to the U.S. Department of Agriculture, approximately 13 percent of American households had difficulty providing enough food for all their members due to a lack of resources at some time during 2015.1 In many cases, the food tossed into our nation’s landfills is wholesome, edible food. Food scraps for animals can save farmers and company’s money. It is often cheaper to feed animals food scraps rather than having them hauled to a landfill. Companies can also donate extra food to zoos or producers that make animal or pet food. There are many opportunities to feed animals, help the environment and reduce costs. 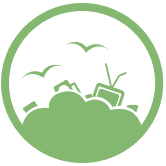 You can donate your animal feed scraps locally at cropmobster or farmer’s guild in Sonoma County. Food can be used to not only feed people and animals, but also power your car or generator. There is increasing interest in finding effective means to obtain biofuel and bio-products from wasted food. These options aim to alleviate some of the environmental and economic issues associated with wasted food while increasing the use of alternative energy sources. Even when all actions have been taken to use your wasted food, certain inedible parts will still remain and can be turned into compost to feed and nourish the soil. Like yard waste, food waste scraps can also be composted. Composting these wastes creates a product that can be used to help improve soils, grow the next generation of crops, and improve water quality.